Porcelina's World: I've Won a Vintage Repro Dress!! I've Won a Vintage Repro Dress!! I'm absolutely delighted and thrilled to discover that I am the winner of a custom-made dress from Shristi Studio! 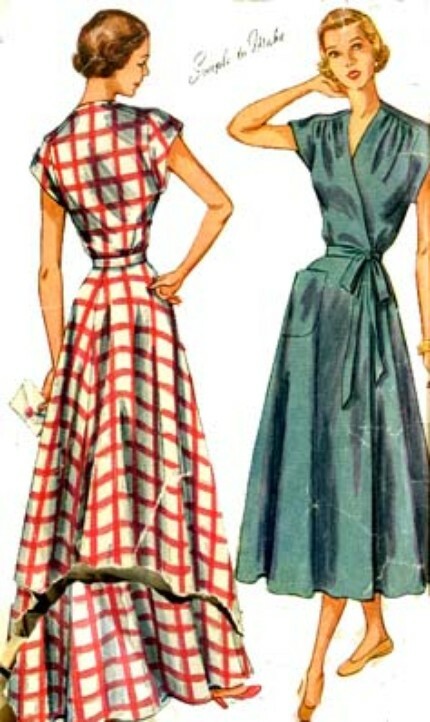 To enter the competition you had to send off a picture of a vintage dress you wanted recreated - I went for a simple 1940s wrap dress (I've been hankering after one for a while!) and sent off this picture. So, the next decision is fabric - I'm thinking either a black cotton (simple, elegant, will wear a lot), or a novelty print such as the lovely apple prints Wearing History posted about a while back. 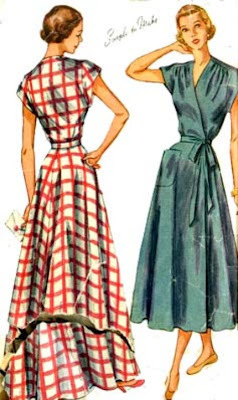 Might be a bit hard to track down any fabric like that though, plus it's late 1930s rather than 1940s, so any other suggestions of a fabric that would be in keeping with the style of the dress would be greatly appreciated! The last thing I won was a teapot, so this dress is definitely the biggest thing I've ever won! !